Day 120 in a year of doing different brought grey clouds and a spattering of snow. I baked through the valley of shadows to the other side. Now I’m enjoying a cup of tea and a second slice of fresh baked bread, wishing I had some jam. The only time I’m craving it is when I don’t have any. Isn’t that the nature of things. So here I sit, tap, tapping and pushing the shadows further back. My magic bullet (Sheba) is beside me, squeaking her toy ferociously as if to chase out demons. She is doing a wild dog war dance, barking and squeaking. I had to reassure her that we were okay. We were safe. Could she please do a down? She obliged prettily. I rest into the peace and quiet, reflecting on this life of mine. Into each of us some darkness must fall. It is the darkness that leads me out to the light. It is a guide, my North Star. I sit in prayer, giving thanks for all that I have and all that I am. Thank you, Lord, for your wisdom and guidance. Thank you for your compassion. May you bless us with wisdom, understanding and compassion for each other and for our earth. Amen. This entry was posted in Uncategorized and tagged a year of change, day 120, gratitude, life, prayer, shadows and demons, writing. Bookmark the permalink. 2 Responses to SHADOWS AND DEMONS – day 120 in a year of…. 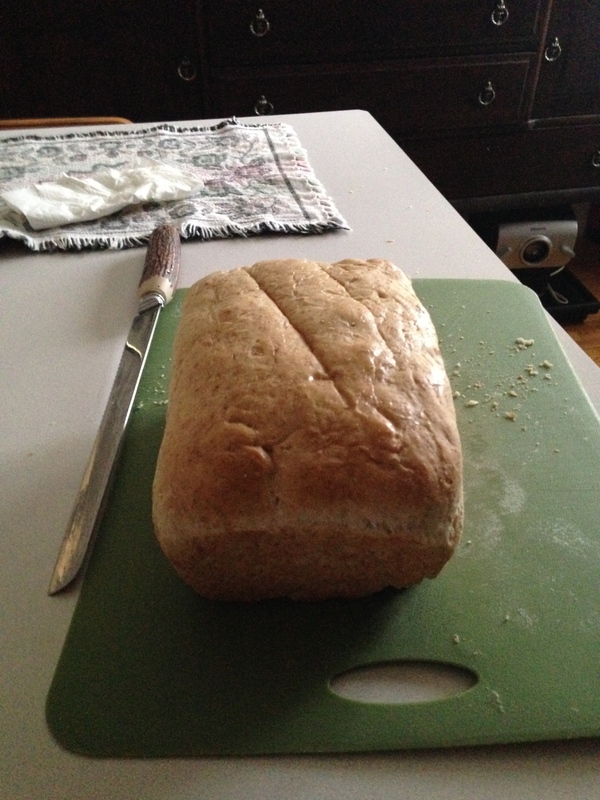 Happy Thanksgiving and there is nothing more wonderful than homemade bread, especially with jam and butter.